if done with the right tools. At San Cristóbal Cancer Institute we have conducted exhaustive industry research and invested aggressively in the latest technology in detection and treatment of a variety of cancer types, to ensure the best possible patient outcomes and elevate the local standard in cancer treatment. Through partnerships with some of the leading healthcare manufacturers, we have developed a holistic approach to cancer care, applying the expertise and wealth of resources that Grupo San Cristóbal boasts through its multidisciplinary team of medical professionals and administrative leadership. Why are we so deeply committed? Because we believe that screening saves lives and prompt treatment can truly make a difference in a patient’s life, but only if coupled with the best tools, and the most knowledgeable medical staff to provide efficiency and assurance to a patient before, during and after their journey through cancer. The TrueBeam® system brings leading-edge cancer care to communities by positioning clinics at the forefront in the fight against cancer. Designed from the ground up to treat moving targets with advanced speed and accuracy, the TrueBeam platform is a fully-integrated system for image-guided radiotherapy and radiosurgery. The TrueBeam system treats cancer anywhere in the body where radiation treatment is indicated, including lung, breast, prostate and head and neck. The number of physicians adopting advanced treatments like Stereotactic Body Radiation Therapy (SBRT) is rising. 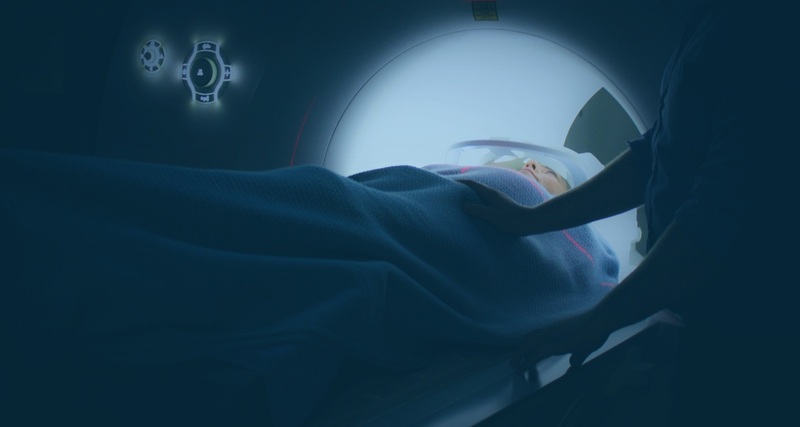 Technologies such as motion management, integrated imaging, and high dose rates are some of the tools that are required for the delivery of advanced treatments like stereotactic body radiation therapy. The TrueBeam system channels innovative, intelligent, and intuitive thinking to provide technology built with the customer in mind. The system offers clinicians intelligent tools for a wide spectrum of advanced treatment options including SBRT. From fast imaging to accurate dose delivery, TrueBeam is designed to help clinicians navigate the complexities of cancer care with confidence. Biograph Horizon enables our physicians to visualize small lesions early. The system provides higher resolution and better image quality, which is valuable for many indications, like lung cancer – the most common PET/CT test. The system’s efficient high-contrast, high-resolution PET/CT with Time-of-Flight helps our medical team identify additional diagnostic procedures, supporting improved patient outcomes, lower procedure costs, and reduced liability risks. To increase productivity and time spent with patients, Biograph Horizon simplifies our staff’s daily routine and lets us get back to patient treatment. For example, we can run quality control procedures overnight, scans can be performed in as fast as 5 minutes, and reconstruction runs alongside acquisition for image delivery just 30 seconds after the scan. This allows us to reduce our operation time and spend more time sharing our insight with patients and their families. We work hard to provide ou partnering and referring physicians with updates on our cutting-edge technology, industry news and other expert insights to stay on top of the latest in cancer care and wellness. Through education resources, events and other dynamic information elements, we create an atmosphere of education and growth for everyone in our community. Our cancer institute offers specialized cancer treatment through a multidisciplinary approach, meaning each patient benefits from the expertise of a team of professionals including medical, radiation and surgical specialists, pathologists, radiologists, nuclear medicine doctors, advanced practice nurses and other support staff. This approach encompasses a team of medical specialists who work closely together to determine the best possible treatment for each patient. Using our convenient digital interphase, referring physicians can quickly direct patients to our center for fast treatment, with an efficient, fully HIPAA-compliant information transfer protocol. Our team is also available over the phone or on-site for walk-in patients with a qualified medical order.